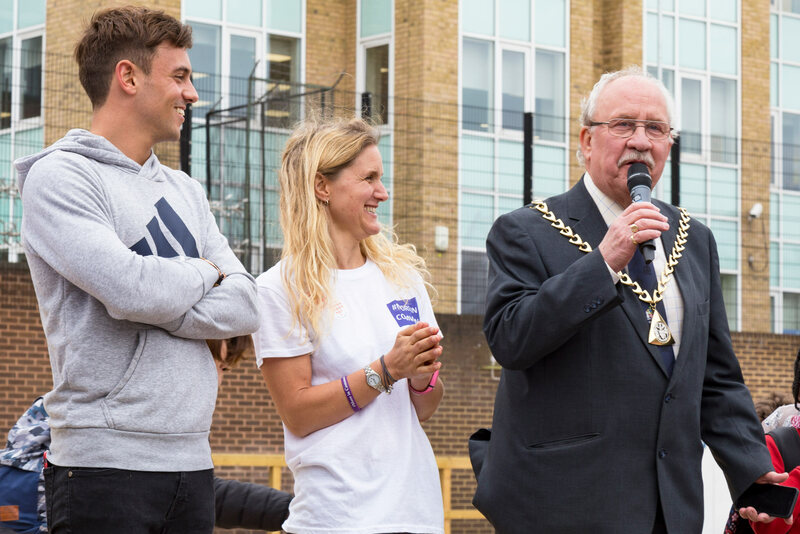 Olympic medallist and reigning world champion diver, Tom Daley, officially opened Marlborough Sports Garden on Wednesday. Speaking passionately about the importance of local sporting facilities, Daley said “I can’t think of a better way for this area to be transformed and to have a place where the community can share in sport”. There were also speeches from the Mayor of Southwark, Charlie Smith, Tim Wood the Chairman of Bankside Open Spaces Trust (BOST), as well as Kim Leadbeater from the Jo Cox Foundation. The event was organised by BOST, who will continue to manage the facility in South London. WWA were appointed to redesign the community space as well as overseeing the construction phase onsite.